OK, this is a geeky post, with maps and dates. But where else are you going to find these kinds of details, right? 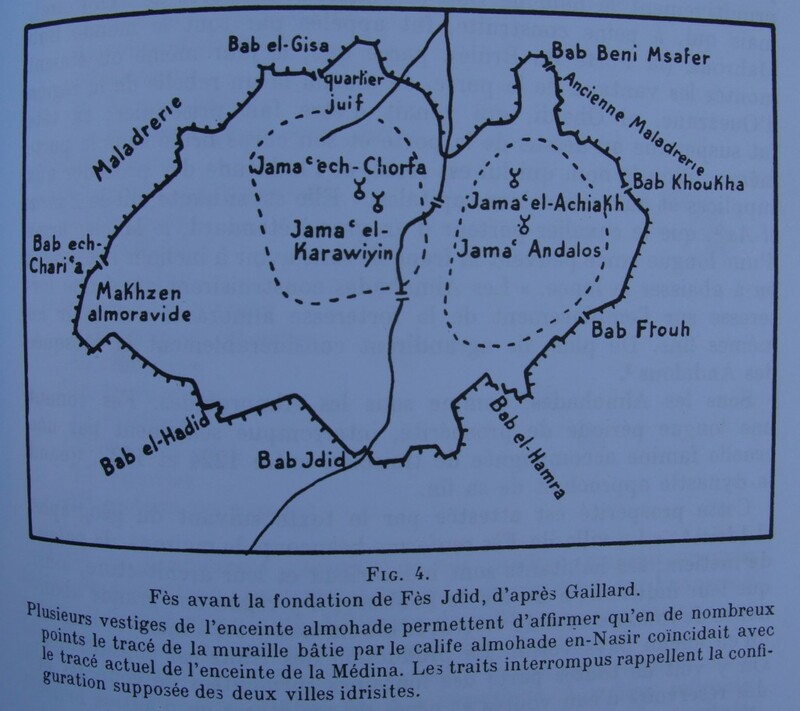 [Correction: now you can find a much fuller introduction to Fès on my friend Eric Ross’s blog at http://ericrossacademic.wordpress.com/2013/10/11/presenting-moroccos-imperial-cities/.] Still, I have to get this out of my system before I move onto all the photos of the highly photogenic Fez medina…. Morocco’s four imperial cities—Fez, Marrakech, Meknes, and Rabat—survive with one foot in the present and one in the past in part because they shared the status of “imperial city” with one another for many years. 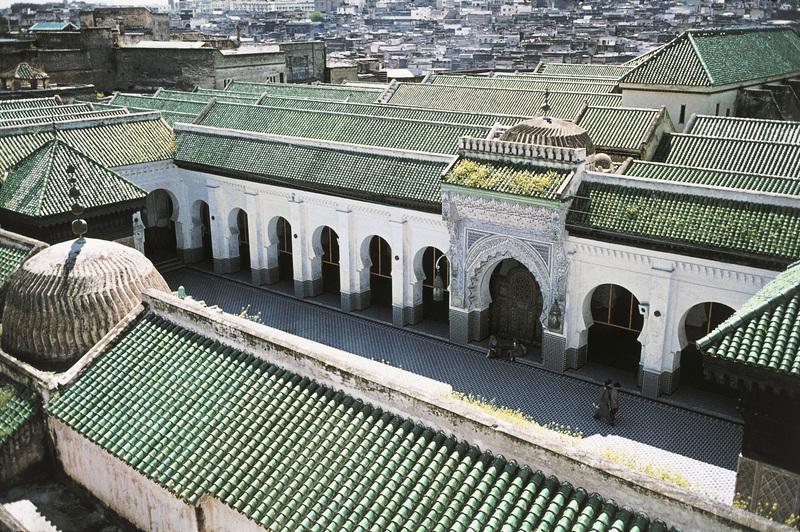 Fez was founded as Morocco’s first imperial city by the first Moroccan dynasty, the Idrissids. Actually, it was founded as two separate cities. First, Idris I founded “Medinat Fas” in 789; then, Idriss II founded Al-Aliyah twenty years later (809). Both groups (from Kairouan and from Cordoba) were displaced by conflicts within the Islamic empire, but they arrived in Fez with different cultural assumptions and expectations–and they seem to have maintained those distinct cultures as they maintained the walls of their separate villages (and mosques). Jama’a means gathering–in the context of the map above, it means the gathering of the faithful in a congregational mosque. Fatima el Fihri, daughter of a wealthy businessman from Kairouan, founded the Qarawiyine mosque in 859, just 35 years after the refugees arrived in the city. The medersa, or Islamic school associated with the mosque, is the oldest continuously functioning university in the world. Fez enjoyed the status of (contested) imperial capital for a couple of hundred years before being displaced by Marrakesh, a capital founded by the new dynasty of rulers, the Almoravids. The next dynasty, the Almohads, founded Rabat in their turn. But Fez continued to grow and thrive, becoming by some accounts the largest city in the world at that period (1170-1180). 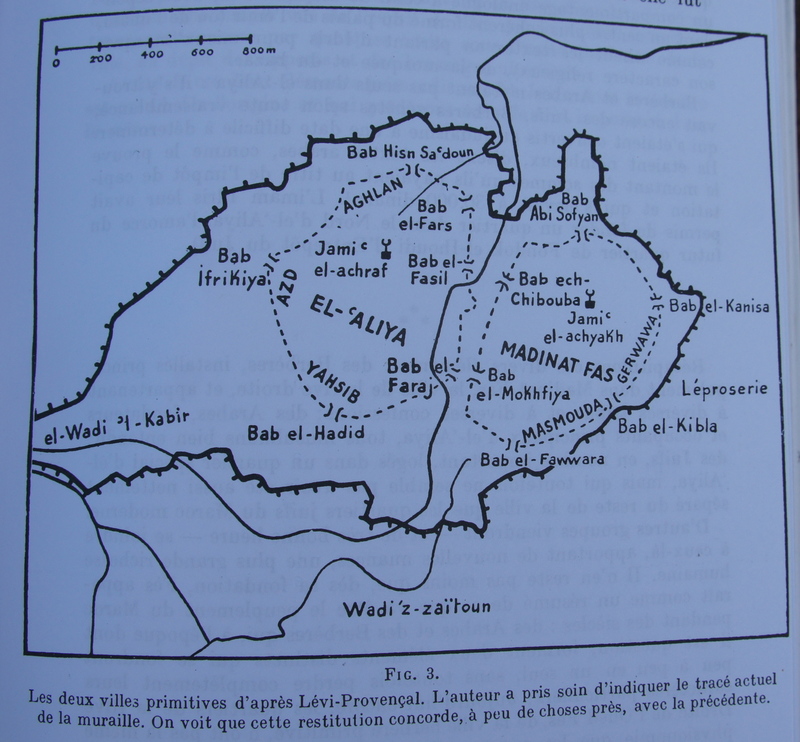 And the next dynasty, the Merenids, turned back to Fez, creating a new capital in Fez Jdid, effectively building a new city beside the old medina of Fes elBali, just as the French would do many centuries later with the “villes nouvelles” of the protectorate era. Despite its imperial vicissitudes, then, Fez grew and prospered throughout the medieval period, thriving on the trade routes that brought wealth and culture to its many doors. 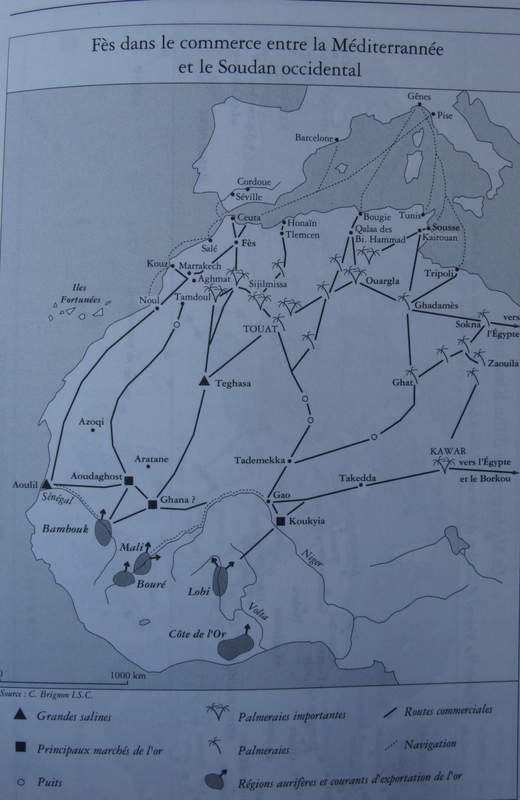 And the Alouite dynasty, reigning from the seventeenth century to the present day, made a practice of ruling as a kind of circuit court, visiting each imperial city (and potentially troublesome region) of the kingdom in turn. This practice meant that each of the major cities shared in the royal attention and resources. As a result, the modern city of Fez–like the other imperial cities, only more so– is a kind of living palimpsest, with layers of history piling one on top of another.